Graham defends and prosecutes in both Crown and Magistrates’ Court across Southern England & Wales, including London. His cases have covered a wide range of criminal offences, including child cruelty, possession of indecent images, cannabis cultivation, burglary and arson. He has also appeared in numerous proceedings concerning the breach of court orders, as well as prosecuting for several regulatory bodies, including the RSPCA, DVLA and TfL. Graham also handles driving offences and POCA cases. Breach of restraining order and disclosing private sexual images instruction at Bournemouth Crown Court. Instructed in a sexual assault of a child case at Southampton Crown Court. Briefed in a PWITS Class A at matter at Winchester Crown Court. Junior counsel for the first defendant in a trial involving multiple allegations of fraudulent trading by the client’s companies, as well as associated regulatory offences. Heard at Bournemouth Crown Court. Junior counsel for the first defendant in a trial concerning an allegation of kidnapping. Heard at Winchester Crown Court. Burglary trial at Bournemouth Crown Court. Graham secured the acquittal of a defendant charged with burgling a property. Despite the client being forensically linked to the scene, Graham was able to secure an unanimous acquittal for his client. Burglary trial at Bournemouth Crown Court. Despite the evidence of two eye-witnesses, Graham's cross-examination lead to a hung jury and the Crown declined to pursue a re-trial. Graham represented a client charged with possession with intent to supply class A, and other matters, at Bournemouth Crown Court. After Graham made representations to the Crown, the PWITs matter was discontinued and a charge of simple possession accepted. Robbery trial at Bournemouth Crown Court. Graham was able to secure a favourable outcome for the client, who eventually pleaded guilty to offences of affray and theft, resulting in a community order being imposed. Represented a client charged with controlling and coercive behaviour at Southampton Crown Court. After Graham made representations to the Crown, the prosecution offered no evidence on this matter and accepted a plea to a common assault. Graham appeared for a client charged with multiple offences of fraudulent identity documents. The client was not convicted of any offences. Instructed in a burglary trial at Bournemouth Crown Court. Possession with intent to supply class A trial heard at Bournemouth Crown Court. Represented a defendant charged with bilking and other offences at Bournemouth Crown Court. Graham represented the defendant charged with making threats with a bladed article. Affray trial at Bournemouth Crown Court. Appeared for a client charged with theft. 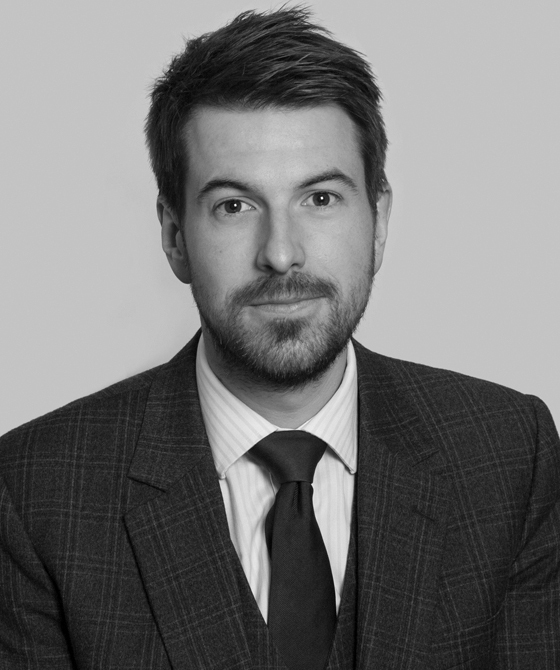 Graham successfully applied to vacate a client’s plea to various drug offences after it emerged that there had been significant disclosure failings. After written representations by Graham, the Crown did not oppose the application. Represented a defendant accused of intending to supply drugs to a value of £250,000 - heard in Winchester Crown Court. Appeared for an appellant in an appeal against conviction and sentence. The client had been convicted of assault by beating. Graham successfully deployed medical expert evidence to show that the defendant was not capable of committing the acts alleged. Graham appeared for the Respondent in an appeal against conviction and sentence for an offence under section 172 of the Road Traffic Act 1988 (failing to provide information about the driver of a vehicle to police). Following legal submissions from both parties on a preliminary point of law, the court agreed with Graham's submissions and the appeal was withdrawn. Graham represented the appellant in an appeal against conviction and sentence at Southampton Crown Court. Graham secured an acquittal on one charge and a sentence of a conditional discharge on the other, the client having previously been convicted of both and sentenced to a community order in the lower court. Successful appeal against a conviction for a breach of a restraining order at Bournemouth Crown Court. Appeared in an appeal against conviction at Southampton Crown Court. Graham persuaded the court to overturn the client's conviction for an assault by beating and then successfully resisted the Crown's application for a restraining order to be made on acquittal. Graham managed to secure a suspended sentence for a client charged with running a cannabis farm and abstracting electricity. Represented the second defendant in a cultivation of cannabis matter. The proceedings against the client were discontinued. Secured a non-custodial sentence for client following several breaches of a suspended sentence order. Appeared for the Defendant in a complex sentencing matter involving multiple different offences and matters, including consideration of whether an extended sentence should be imposed. Graham was able to persuade the court that his client was not dangerous within the terms of the statute and to not pass an extended sentence. Secured a non-custodial sentence for a client who had breached his Sexual Offences Prevention Order by possessing multiple indecent images of children, including Category A images. Secured a short custodial sentence for a client at Reading Crown Court following a conviction for two offences of possession with intent to supply Class A drugs. This sentence was passed at the conclusion of a Newton Hearing. Instructed to represent the defendant in a robbery matter at Southampton Crown Court. Represent a client charged with two counts common assault trial at Poole Magistrates’ Court. Graham secured an acquittal on both counts. Assault by beating trial at Aldershot Magistrates’ Court. Graham successfully persuaded the court to exclude the evidence of the clients interview and secured an acquittal. Hendon Magistrates’ Court. Graham successfully ran the difficult defence of automatism for a client charged with numerous offences committed late at night at a London train station. Graham defended two clients (one a youth) charged with assault by beating. Both claimed to have acted in self-defence; one pre-emptively and one to defend his friend. This was successful and both were found not guilty. The Judge remarked that the key piece of evidence was a comment ascribed to the complainant by the defendants in interview with the police. Under Graham’s cross-examination the complainant stated that the comment was something he was likely to say and would say in the situation. This piece of evidence was key in undermining the complainant’s account of being the victim. Graham successfully represented a client charged with harassment by establishing that the behaviour complained of was not, under case law, capable of amounting to harassing behaviour. Represented one defendant in a seven-handed youth trial where all defendants faced charges of assault occasioning actual bodily harm and witness intimidation. Graham's client was the only defendant acquitted. Successfully argued there was no case to answer to a charge of going equipped when the alleged theft for which the defendant supposedly going equipped had, on the Crown's case, already occurred. Successful defence of a man accused of exposing himself in a public park. Secured an acquittal in a possession of a bladed article case. The defendant had the knife to use in the course of his employment. Secured an acquittal for a defendant accused of assault occasioning actual bodily harm on a security guard despite CCTV evidence. Successfully ran a defence of no intention to drive to counter a charge of drunk in charge. Represented two clients. One was charged with driving offences and assaulting a police officer and the other with assaulting a police officer and obstructing a constable. Graham successfully argued that the Crown had not established a case to answer in relation to one of the driving offences resulting in that charge being dismissed at the close of the Crown's case. He then secured not guilty verdicts on all the remaining charges. Graham frequently handles motoring law offences, from first appearances through to trial and, if necessary, sentencing. His practice covers the full range of motoring matters, from dangerous driving through to documentary and lower level offences. He is adept at handling cases involving the intricacies of this area of law, and is a trusted advocate by lay and professional clients. P v A: failure to stop. Graham secured the acquittal of the client on the basis of case-law which held that, if the court was satisfied the defendant had not been aware of the alleged accident, they could not be guilty of failing to stop. R v C: dangerous driving offence sent to the Crown Court. However, the matter had to be withdrawn by the prosecution as notice had not been sent to the defendant within the time-limit required by statute, a point noted by Graham. P v Z: careless driving. Despite the defendant driving an HGV at the time of the incident, Graham secured a favourable result that meant the driver kept his licence. P v McL: speeding and failure to nominate. After discussions with the Prosecution, the failure to nominate charge was dropped and the client admitted the speeding offence. P v O: using a mobile phone whilst driving and no insurance. Successful dismissal of both charges. R v B-T: successful exceptional hardship argument following a careless driving offence. P v S: speeding matter. Despite the client’s recorded speed being over 100mph, Graham was able to persuade the court to impose penalty points only, rather than a substantial period of disqualification. P v S: two failure to nominate offences. Graham persuaded the court that it was within its powers to limit the number of points imposed due to the offences being committed within an extremely close time-frame, meaning that the client kept their licence. P v W: failure to nominate. Successful statutory defence of client who did not have control of the vehicle at the time of the underlying speeding offence and, as such, could not reasonably establish who the driver was. Graham accepts instructions in military disciplinary proceedings. He has an ability to quickly and easily establish a rapport with serving personnel and assist them through the process. He is particularly adept at handling matters involving unusual or tricky issues. For example, he recently represented a Royal Marine charged with assault occasioning actual bodily harm. Although the offence was admitted, the process was complicated by the serviceman's recent diagnosis and ongoing treatment for PTSD and other anxiety issues. Similarly, Graham represented a RAF corporal charged with a domestic assault. Again, the offence was admitted, but any sanction higher than a fine would have resulted in serious career ramifications for the corporal. Graham was able to chart a course through the proceedings that resulted in the client receiving just a small fine. Appeared for a sailor charged with an offence under section 42 of the Armed Forces Act 2006, the underlying offence having occurred in Bahrain. Guilty plea to assault, Aylesbury Mags. Careless driving and failure to provide, s.36 appointment, Salisbury Mags.